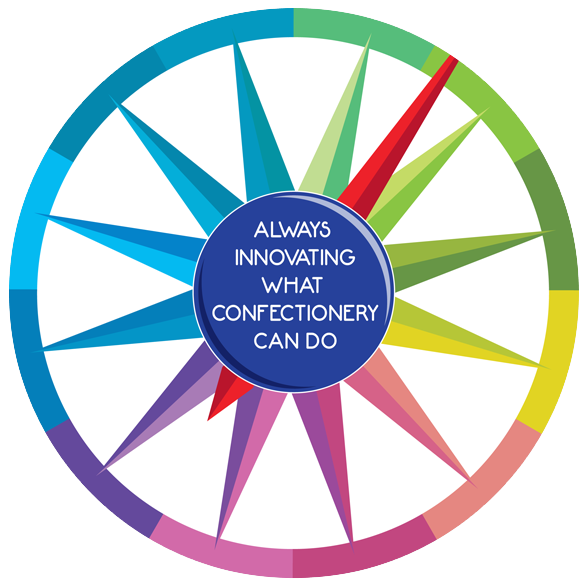 We will enhance our world leadership in confectionery by creating value for consumers through innovative and gratifying high-quality products. •	Generate economic value through superior growth and profitability. Continuous focus on these principles will lead us toward Our Vision. We conduct our business with honesty, integrity, and respect for those with whom we have relationships. We pursue quality in everything we do. We strive for continuous improvement in the way we operate. Unremitting attention is given to details at every stage and resources are used in the most efficient way. We will meet and exceed the differing needs and expectations of our consumers, offering them high quality, state-of-the-art and innovative products. We are committed to creating a global workplace where teamwork, involvement, open communication, flexibility and fun exist. We treat our people fairly; we value different styles, skills, experiences and backgrounds and acknowledge that these differences result in greater creativity and better insights. We encourage them to take initiative and expect them to approach their jobs with passion and commitment. We offer our people training opportunities and ongoing development so that each individual can reach his or her full potential. We will conduct our business as responsible members of society, respecting the laws of the countries in which we operate, contributing to the progress of the local communities in line with the legitimate role of the business. We will operate safely, responsibly, and with sound environmental practices, aimed at minimizing our impact on the environment and working toward long-term sustainability. Consumers around the world want to be sure that the products they buy are of unparalleled quality. We pay the utmost attention to selecting the finest raw materials, developing cutting-edge production processes and investing in research into newer and better production formulas. Our consumers in both mature and growing economies are very sensitive to new experiences and concepts. We want to be the ones who pleasantly surprise them with new products, new flavours, new packaging and new product concepts that will help them enjoy “sweeter” moments in their lives. This is why we give paramount strategic importance to researching and developing new products. We place great importance on understanding the market and its trends in order to identify and anticipate consumer demands. We also want to remain in tune with consumers after they have bought our products. To do this, we regularly develop effective promotional tools, high-impact and eye-catching advertising campaigns and innovative digital experiences connected to our brands. Respect for the environment, not only by complying with local laws and regulations but also through trying to minimise the impact of our operations, is a vital principle at Perfetti Van Melle. Improving the efficiency of our production processes to reduce waste, making the best use of natural resources and looking for environmentally-friendly options in our packaging choices and distribution strategies are key to executing this ideal. Behind our success lies the initiative, enthusiasm, passion, dedication and creativity of our people. We are committed to creating a stimulating work environment, guaranteeing safe working conditions in our factories and offering Group-wide development and career opportunities. Quality, innovation, market knowledge and consumer desires. These are the foundations on which Perfetti Van Melle has built its success over the years – a success that is still growing every day. o Situational Adaptability: Adapts approach and demeanor in real time to match the shifting demands of different situations. o Manages Complexity: Makes sense of complex, high quantity, and sometimes contradictory information to effectively solve problems. o Courage: Readily tackles tough assignments. Faces difficult issues and supports others who do the same. Provides direct and actionable feedback. Is willing to champion an idea or position despite dissent or political risk. o Building Effective Teams: Forms teams with appropriate and diverse mix of styles, perspectives, and experience. Establishes common objectives and a shared mindset. Creates a feeling of belonging and strong team morale. Shares wins and rewards team efforts. Fosters open dialogue and collaboration among the team. o Cultivates Innovation: Comes up with useful ideas that are new, better, or unique. Introduces new ways of looking at problems. Can take a creative idea and put it into practice. Encourages diverse thinking to promote and nurture innovation. o Strategic Mind-set: Anticipates future trends and implications accurately. Readily poses future scenarios. Articulates credible pictures and visions of possibilities that will create sustainable value. Creates competitive and breakthrough strategies that show a clear connection between vision and action. o Plans & Aligns: Planning and prioritizing work to meet commitments aligned with organizational goals. o Drives Results: Has a strong bottom-line orientation. Persists in accomplishing objectives despite obstacles and setbacks. Has a track record of exceeding goals successfully. Pushes self and helps others achieve results.